A friend of my mother gave me a book of architectural styles when I was 12 and my world was transformed. For a year I inhaled architecture books at the library. 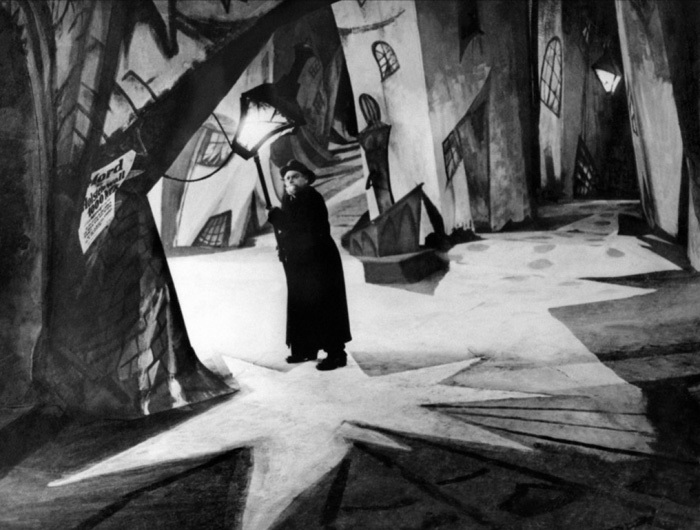 At 13 I swerved onto the Art Nouveau off-ramp and my formerly catholic tastes were neglected as I thrilled to the dips and swirls of Gaudi and Horta and Guimard. Still, the early paddling in the pool of styles had a lasting effect. The love of architecture and craftsmanship never really left me and my heart beats a little faster every time I see a great building. 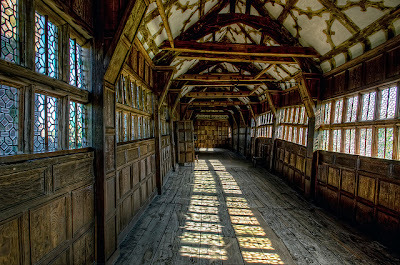 One of my lasting favorites is the half-timbered style. Not the “Ye Olde” beige version of the style snatched for chip shops and 1920’s suburban houses but the real 15th to 17th century deal. It appeals to me in a million ways. Come to think of it, that Art Nouveau style had a similar draw for me. I think I know why –– I have a small aversion to right angles! I think that revelation came the first time I saw The Cabinet of Dr Caligari and those mad, German expressionist sets –– nothing straight about anything in that film (bless the creative genius of designer Hermann Warm). 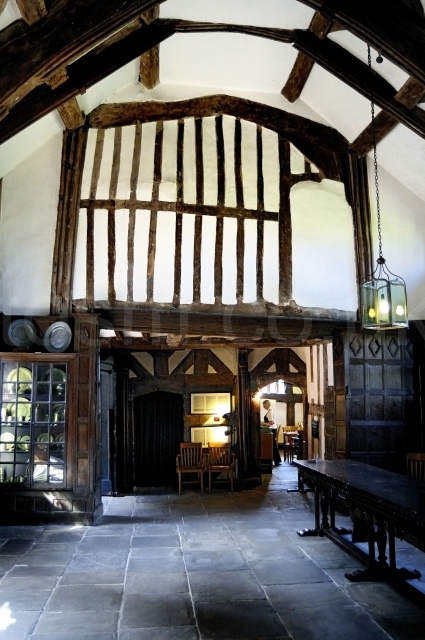 The half timbered style that I love really came into its own in England in the 15th century. It came about because of a luxury of oak. England had a great deal of it before home-building, heating and ship construction decimated the once glorious forests of English oak by the 17th century. Oak is quite a material, ancient oak is incredibly strong –– one of the reasons that those buildings I love are still standing –– in their syncopated, bow-legged no-right-angle sort of way. 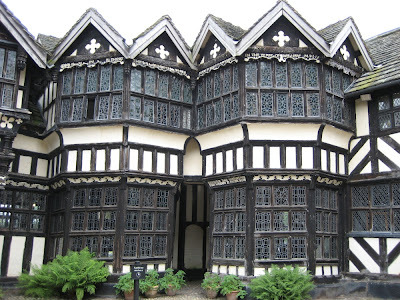 A great article on Britain Express said that the term half-timbered refers to the halved logs used in the technique (or the square inner section of the log) –– not the fact that it is part wood and part mud. The white part of the construction comes from wattle and daub – an interlaced structure of small branches and straw covered by clay mud (with plaster and sometimes lathe on interior walls). The article went on to describe the building technique. A brick or stone base was built, “then a sill beam laid on the footing. Upright beams were mortised into the sill beam and tenoned at the top into another horizontal member. 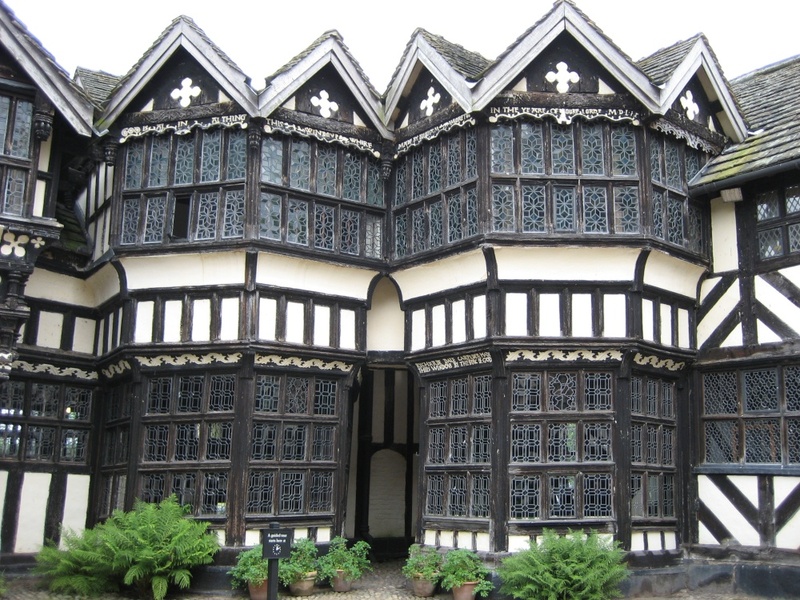 Timber framed houses are essentially big boxes, with upper “boxes” (stories) set upon lower ones.” The article also determined that the possible reason that the upper floors stuck out over the lower ones had to do with protecting the entry from rain and snow (although a tax on the land footprint could also have played a part). 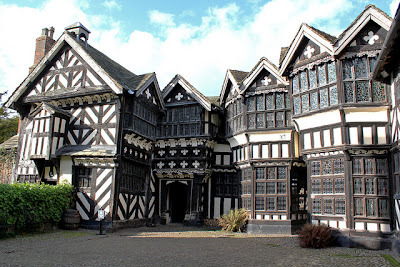 When I think half-timbered, I inevitably think of Little Moreton Hall (the name Moreton is Saxon/Norse and means marshland or farmland). I was reminded of it a few weeks ago when I wrote about my favorite tree house (HERE). 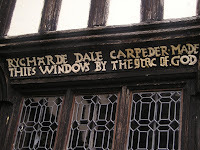 It’s probably one of the best examples of the style in England. 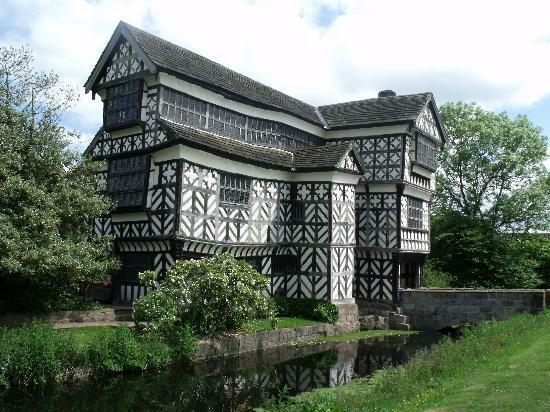 The National Heritage List and Time Travel Britain were full of information on the house. 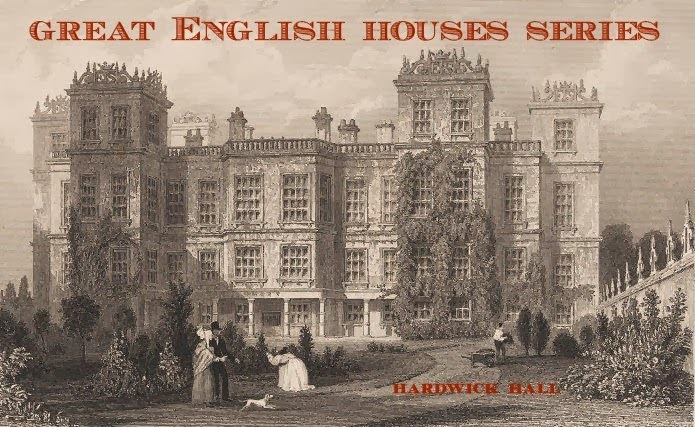 It was begun by Sir Richard de Moreton around 1450 and continued to be constructed until 1580 –– using profits from large tracts of land the family picked up at a substantial discount after the black death wiped out the local population. The house stayed in the family for nearly 500 years before going into the caring arms of the National Trust. The chevron (v shape) and lozenge (diamond) patterns with quatrefoils (4-leaf clover shape) give it an extraordinary graphic quality. 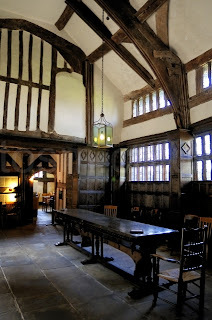 But it’s the saggy gallery of Little Moreton Hall that I’m crazy about. The gallery with its 68’ windowed ‘long hall’ was part of the last round of construction. Built onto the un-strengthened lower supports, the great weight of it and the stone roof caused considerable sagging (although the steel rods that were snuck in in the 19th century have kept it from collapsing). The room is just astonishing, as are the rest of the interiors with odd spaces, idiosyncratic structural beams and rolling wooden floors (the ground floor has stone floors). 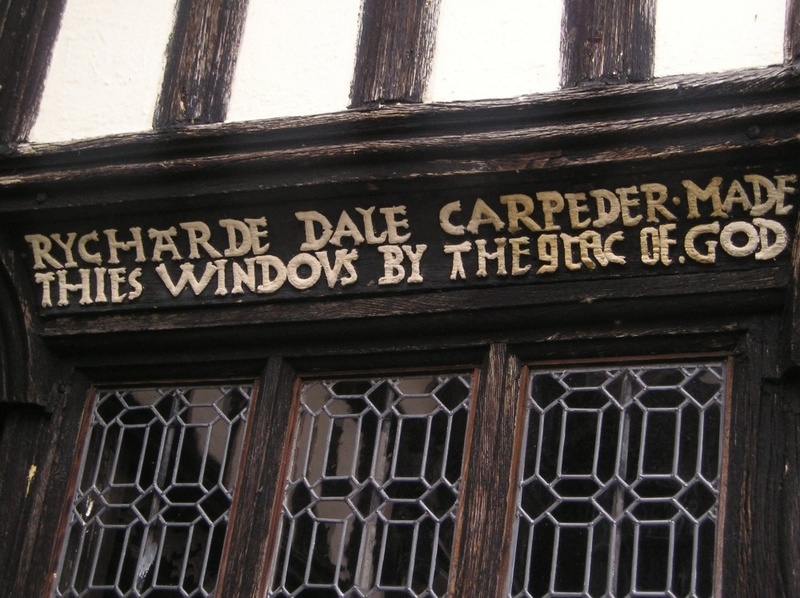 One of the striking things about the house is that a craftsman actually signed his work, taking enormous pride in his windows, as well he should. 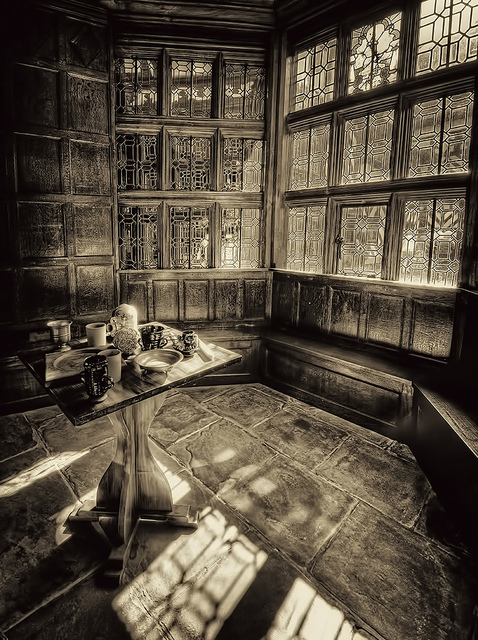 Richard Dale was hired to create the radiant 2 storied bay windows in the East Wing that were finished in 1559 . When I thought about what to make for a Little Moreton Hall-style treat, the Taffety Tart came to mind. Lots of irregular layers in homage to the charms of the house and a dish that’s been around as long as the house –– perfect. The English have been making a puff paste for centuries, much like the one we make today. 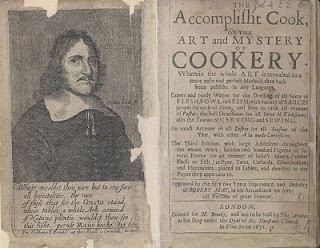 This one came from a selection of 5 styles in the great Robert May cookbook from the mid-17th century, The Accomplisht Cook (I wrote about May HERE). Although I saw similar pastes in 16th century books, this one has an unusual egg and cream component in the base dough that is folded with butter to make the layers the same way we do it today. You could use a purchased puff paste if you want to forgo the pleasure of kicking it really old school. I made my tarts with 3 layers of puff paste and 2 of apples. The coolest thing about these is the interesting flavored sugar made with lemon peel and fennel seed. It’s brilliant with apples. I am not alone in this belief. Heston Blumenthal did a riff on it for his blazing hot London restaurant, Dinner. Here are the original recipes from May’s 1665 book. I decided to make individual tarts instead of a large one. You could make apple layers on top of one layer of crust but I decided to go for layers of crust as well and make it into a sort of apple sandwich. I used about 1/3 of a large apple per tart. It could have been served in a dish much like this ancient beauty. Heat oven to 400º. Line baking sheet with parchment paper. Combine the sugar, lemon peel and fennel seed. Cut out pastry into 3 rounds per tart. Brush one side with with butter. Lay out 6-8 of them and sprinkle with sugar. Put a layer of apples on them and sprinkle with sugar. Put another round of pastry on top of these and follow with another of apples and sugar. Top with the final piece of pastry. You may want to pop these back in the fridge for a cool-down before baking. Bake for 10 minutes, then reduce heat to 390º. Bake another 20-25 minutes or until lightly browned. Remove from oven and brush gently with rose butter and sprinkle with sugar. Put them back in the oven and bake another 5 or so minutes until sugar is crisp and sparkly. Beat the egg till frothy and add the flour. Add enough cream to make a soft dough. Roll this out into a square and refrigerate. Remove from fridge and spread the butter in a smaller square in the center, like a diamond with its points in the center of the larger square's flat sides. Bring the pointed sides of the pastry up around it to enclose the butter and then roll it out again, making sure not to be too rough that you let the butter escape. Fold it like a letter in 3 sections and refrigerate for a half hour or so. Take it out, roll it out and fold it up again. Continue to do this 5 times, always keeping the seam to the same side and refrigerating between turns, at least 30 minutes (white on rice couple has a great tutorial on puff pastry HERE). When it is done, roll it thin and refrigerate. When you are ready to use it, cut out the circles and refrigerate. The colder the dough when it goes in the oven, the better the chance of rising. I usually use bread flour for this but was out and added a bit of whole wheat... they didn't rise as high as usual for me but were delicious none the less. 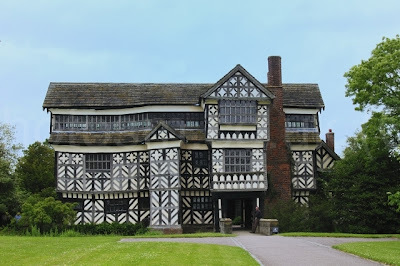 The pictures of Little Moreton Hall come from many sources including Flickr, Pictures of England, Country Life and Wikipedia. Architecture AND cooking? What could be better! I so love these buildings too, but not for me personally to inhabit. I'm all for right angles! A beautiful home - the style is always enchanting, and what fun to build a dessert that mimics the design features of the house! What an amazing structure! And the light inside those rooms is just incredible. What an exquisite building. I'd love to roam around in there for an hour or two with a camera. And the dessert looks delicious too! This is lovely, as usual! I always zone in on the food but the building is amazing. Little Moreton Hall's soffits are not straight! I love it! My house is Norman style; it's just fabulous. The 3 year old girl across the street is convinced that a pretty pretty princess lives in my house. I don't want to disappoint her by letting her know it's just a regular person.